…then this report will answer those questions for you. and all of the other steps to becoming a doctor. This report will give you guidelines for how to become a medical doctor in the United States, as well as most places in the world that follow an American/ United States approach to education. Your timeline will look like this: 4 years of high school, followed by 4 years of college/university in the United States, followed by 4 years of medical school education, followed by 2 to 3 years of medical residency. Now, you’re a doctor. Fourteen years?!! Well, not exactly. By the third year of medical school, you’ll be working with patients and practicing medicine under careful supervision. And when you start your medical residency, you are actually starting your first full time job in medicine. So your total time will feel more like four years of college, plus two years of medical school. Let’s break some of these steps down in more detail. What high school courses do I need to become a medical doctor? Let’s start with the basics of high school education. There are no specific high school courses that you are required to take to become a doctor in the United States. However, the grades you get in high school will determine where you attend college, and the college that you attend in turn will determine the medical school that you attend. This is a generality, but a useful one: The reputation of the college you attend will to a small degree impact the medical school you will most likely be accepted to. What degree do you need to become a doctor? Most students ask what degree do I need in order to become a doctor. 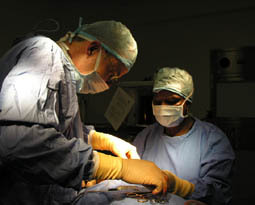 To become a medical doctor in the United States, you are not required to have a specific degree. Instead, medical schools have a list of prerequisite classes that you must take. Most pre-med students choose to major in Biology and get a Bachelor of Science in Biology, but they do this because the Biology major contains all of the classes that medical schools require. 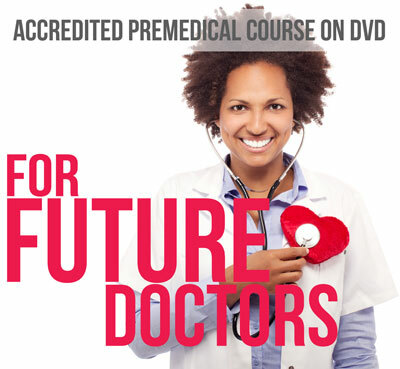 What grades do you need to become a doctor? To be a competitive applicant for medical school admissions, your grades will need to be at least a 3.5 GPA on the 4.0 scale or higher within your science courses — typically biology, chemistry, physics, math. How much does it cost to become a doctor? Let’s look specifically at the cost of medical school. According to the Association of American Medical Colleges, of 2016, most students will graduate from medical school with a median debt level of $200,00. There are differences in tuition, fees and health insurance between public and private schools. However, looking at your lifetime earnings as a physician relative to the money that you have spent, you will see that your earnings will more than pay for the money that you spend to go to medical school. You can argue that going to medical school does not cost you money, but actually makes you money. However, I won’t be keeping this report available for very long, so be sure you grab it while it’s still available! Well best wishes for success towards your dream of becoming a doctor!